A Jamaican 20-dollar coin shows Garvey on its face. 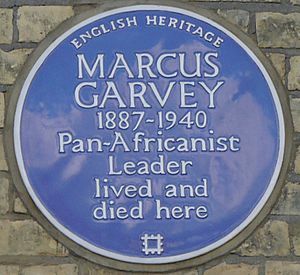 Marcus Garvey Facts for Kids. Kiddle Encyclopedia.